Privateinternetaccess.com is a fairly new provider of virtual private networking (VPN) services and its plans do cover unlimited torrents and filesharing. Not all VPN providers allow torrents and regular P2P traffic as it takes up so much bandwidth. Privateinternetaccess does not offer much information on its website regarding the situation on torrents and P2P, however there is a lot of detail within the user forums and it’s possible to find helpful hints on there to assist in settting up the service and dealing with any problems that may arise. The company does state that consumers affected by blocked websites or restrictions from Internet Service Providers (ISPs) will find that the privateinternetaccess service gives them opportunities to unblock services and that they have no restrictions on use, which includes customers making frequent use of P2P. One of the major advantages to privateinternetaccess is that users can maintain complete anonymity as it is possible to sign up for the service using Bitcoin or via other anonymous methods, such as Starbucks gift cards or gift cards from a variety of other retailers. One of the drawbacks of the service is that users cannot select their preferred server location. The company allocates servers to users and the interface is extremely minimalistic. Users that have been registered with different VPN providers may feel the privateinternetaccess service is a little basic in comparison, the company seem to feel the only detail that users really need to know is that the service is definitely working. There are limited support FAQs on the privateinternetaccess website and setting up initial connections with utorrent does seem to be a problem that some users experience, however the company does offer livechat facilities, to overcome any user problems, and the general forum covers some of the major user problems, including frequent problems experienced by P2P users. Many users who experienced speed restrictions with their ISP found speeds significantly increased when connected to the privateinternetaccess service, although the user forum does indicate some concerns regarding ISP throttling which could be based on the size of files shared, even though the ISP can have no way of knowing what site is being accessed. Some of the users put forward potential solutions to problems of this nature, which do seem to work for some people. Besides the cryptocurrency payment options, the speed and stable connection might be a reason why the vpn service is also popular among cryptocurrency traders, when using platforms like the ones reviewed on http://www.bitcointradingsites.net/. In conclusion, the privateinternetaccess VPN does offer unlimited bandwidth to customers who wish to carry out filesharing and torrents. Using the consumer forum on the site on a regular basis may well help most to solve any of the problems that could be encountered with filesharing. 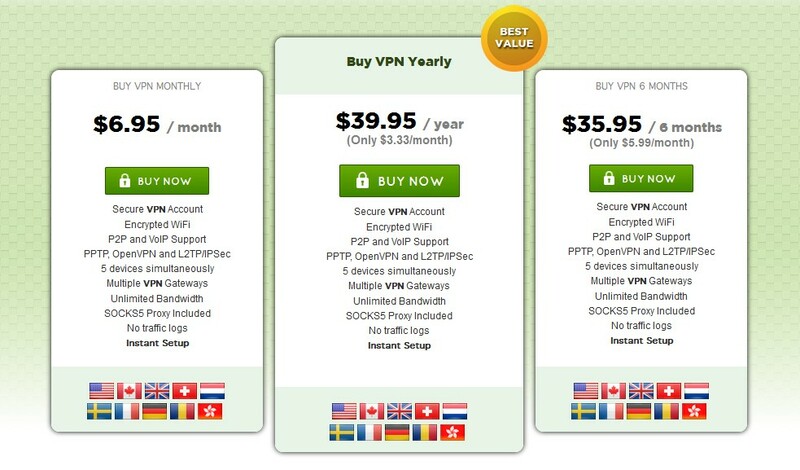 PrivateInternetAcccess.com provides VPN Servers in the following countries: USA, UK, Canada, Australia, Netherlands, Switzerland, Sweden, France, Germany, Ireland, Russia, Romania, Turkey, Hong Kong, Singapore, Japan, Israel, Mexico, Brazil.